It seems odd to talk about fish at this time of year, but I happen to love fish and I think I can eat it several times a week and not get tired of it. I feel like there are relatively few calories, its high in protein, so it is healthy yet filling. 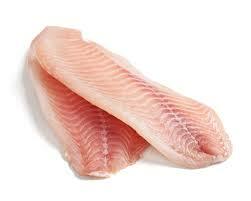 I love many kinds of fish – flounder filets, tilapia, haddock, salmon, red snapper, trout, sea bass, you name it. White-fleshed fish, in particular, is lower in fat than any other source of animal protein, and oily fish are high in omega-3 fatty acids, or the "good" fats. Since the human body can’t make significant amounts of these essential nutrients, fish are an important part of the diet. Also, fish are low in the "bad" fats commonly found in red meat, called omega-6 fatty acids. According to the EPA and Department of Health, the omega-3s found in fish provide the greatest health benefits, and are especially beneficial for heart health. Fish that are high in omega-3s, low in environmental contaminants and eco-friendly include wild salmon from Alaska (fresh, frozen and canned), and rainbow trout. These are some of my favorite fishes. Flounder – is a light delicate fish that flakes easily. I love flounder oven-baked or out of the pan. Rainbow trout has a mild sweet flavor, and a delicate white or pinkish flesh. If cooking whole on the grill, keep the skin on. If sautéing, just use some butter and capers, a little salt and pepper. Red Snapper – aka Rockfish – is a medium firm flaky white fish that flakes easily when cooking. This fish is excellent steamed in parchment paper with your choices of fresh veggies, lemon, olive oil and seasonings. Salmon – is the lowest in fat ad is best cooked low and slow. If grilling, cook over indirect heat. 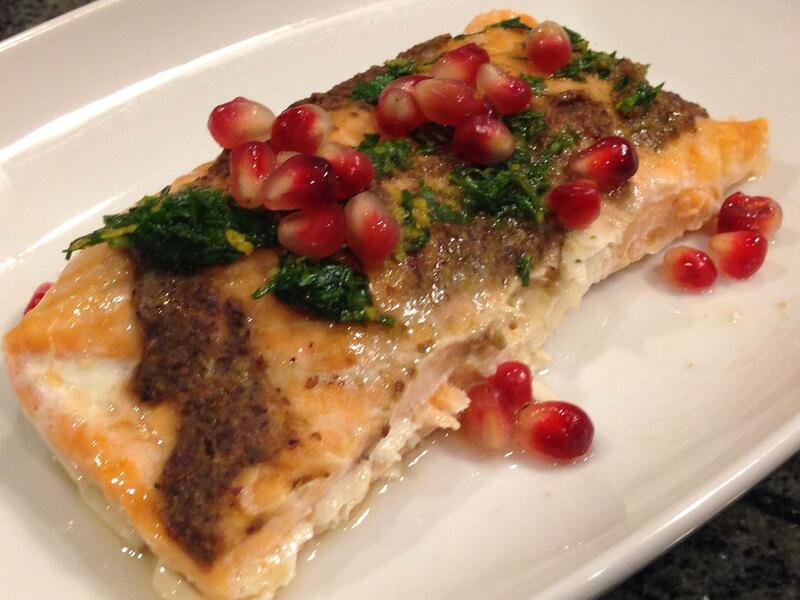 There are so many ways to prepare salmon, the recipes are endless. Tilapia is a firm white fish that holds when grilling. It’s great o matter how you cook it, pan seared, breaded, baked or grilled. When buying fish, make sure it is uniformly colored. Reddish brown bruises indicate mishandling. If buying a whole fish, the eyes should bulge, the gills red and the tails moist. Press fish with a finger, it should feel light and springy. If the dent stays, it is not fresh. The skin should not be slimy. Fresh fish should smell like the ocean; it should not smell fishy. On my monthly trips to Costco, I always pick up a fresh piece of fish for that night’s dinner and more to freeze. I also pick up frozen fish. I particularly like the Wild Alaska Salmon fillets in Asian sauce made by Morays. They are certified kosher and individually vacuum packed. I like them because I can have them on the table in just a few minutes. After defrosting, I can cut open the plastic and stick them in the microwave for 3 minutes. Done and on the table. My entire family loves them. Now some of you are probably saying – wait, Sarina uses prepared foods? Why not? I am a working mom and sometimes I need to get something on the table quickly. These are healthy and full of great nutrients. We generally eat fish at least once a week, sometimes twice. I’ve learned to prepare it in multiple ways – frying, breading, baking, grilling, poaching, you name it. For some of my favorite go to fish recipes, go to My Favorite Fish Recipes.